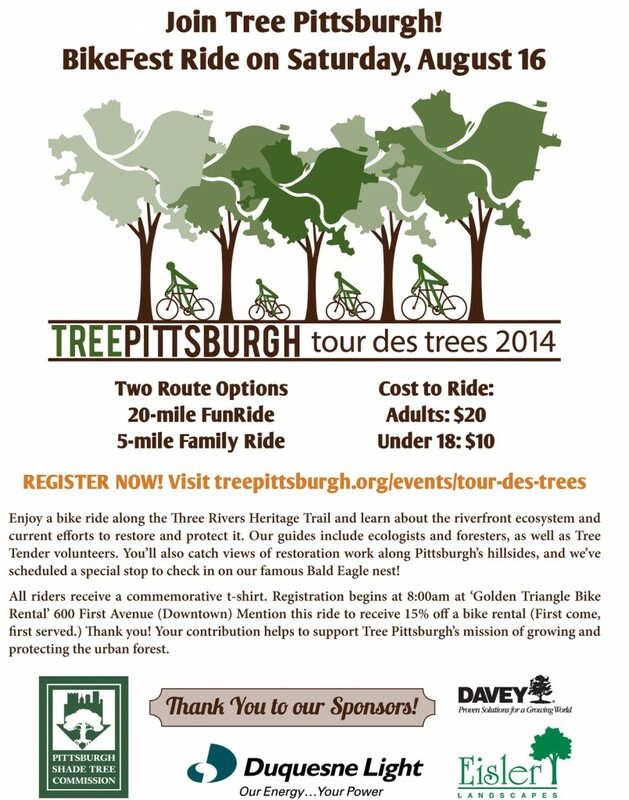 Tour de Trees: take a bike ride along the riverside with Tree Pittsburgh! Tree Pittsburgh is an environmental non-profit organization dedicated to enhancing the City’s vitality by restoring and protecting City trees. They’re also the organization that brought the goats to Polish Hill last month, as part of a long-term project to restore the trees on the hillside at West Penn Park. Tree Pittsburgh’s Tour de Trees is a fundraiser to help them continue this work. For individuals or families who like biking and are interested in the riverfront ecosystem of our city, this would be a fun thing to do — and it will help support an organization that’s doing things for Polish Hill and Pittsburgh. Find out more about Tour De Trees, or register. Inflate those tires, oil those chains, and gear up for the 2013 National Bike Challenge, sponsored locally by Bike Pittsburgh and OTB Bicycle Cafe! Officially kicking off on May 1 and ending September 30, this free and friendly competition encourages Pittsburghers to get out and ride, whether as daily commuters, weekend warriors, or somewhere in between. The challenge helps riders realize the health, economic and environmental benefits of riding a bike. Riders can choose to participate as individuals or teams, and see how they stack up against others in the Pittsburgh region, and across the nation. This year Bike Pittsburgh is working to register 1,250 Pittsburghers to help our region pedal to the top spot in the country! Participant points heavily favor riding daily – 20 points per day, plus 1 point per mile logged. Smartphone users can even download a free app to directly track and log trips for the National Bike Challenge. Challenge yourself, your family, friends, neighbors, and coworkers to get moving, log miles, earn points, and be eligible to win prizes at the national level. Pittsburgh riders even earn free drinks at OTB Bicycle Cafe just for participating! 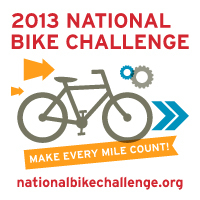 Sign up at nationalbikechallenge.org, and start logging your miles today. 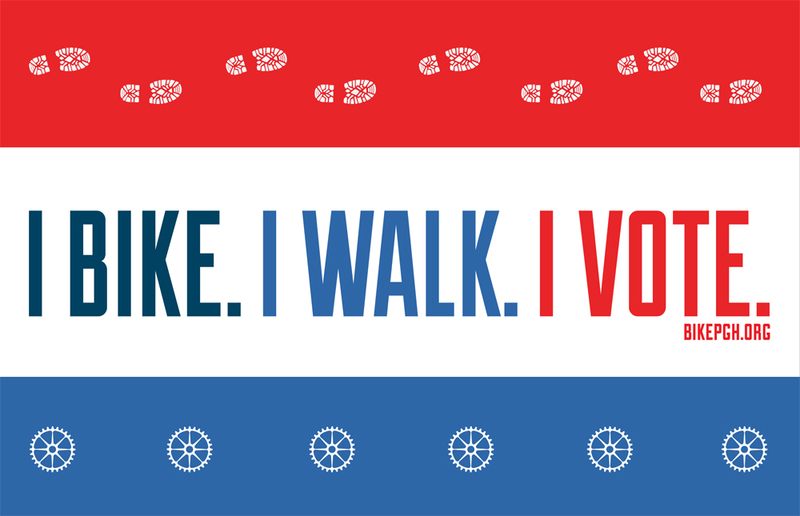 Bike Pittsburgh hopes to form a voting bloc to make biking and walking an issue in the next election. They hope to unite the people who want Pittsburgh to invest significantly in the programs and infrastructure that will transform our streets and communities into healthy, vibrant places that are safe and accessible for everyone to bike and walk. We posted about this last month, but this effort is ongoing and BikePgh could use your support. If you feel that the rights of pedestrians and cyclists are underrepresented, BikePgh has created an online petition which you can sign to tell the candidates that we want our city to compete with all the other world-class cities investing in better bikeways and pedestrian facilities. The goal is to collect 3,000 signatures by the primary election on May 21; thus far, they have over 1,700 signatures. If you agree with their goals, please take the time to read and sign the petition. BikePgh is a bike advocacy organization that “works to protect cyclist’s rights and promote the vision of making Pittsburgh a safer and more enjoyable place to live and to ride.” They’re also a neighbor; the office is at 3410 Penn Avenue, at Doughboy Square. BikeFest is Bike Pittsburgh’s annual fundraiser, but it’s more than that; it’s also a ten-day celebration of bicycling and a wide-open event in which anyone can organize and submit an event. 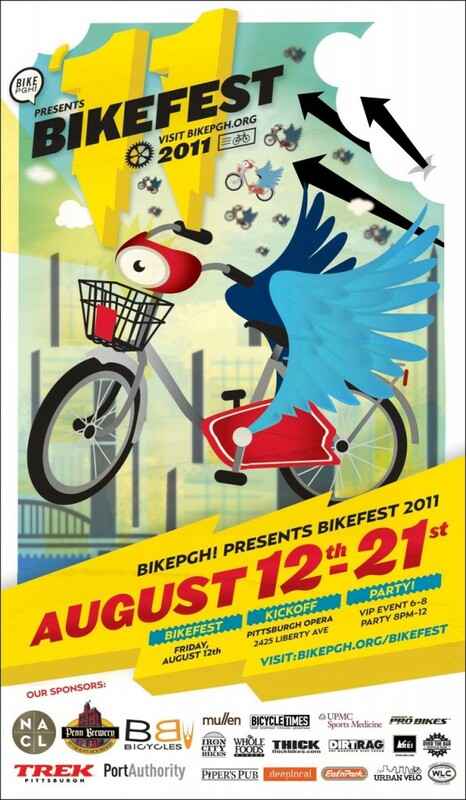 BikeFest kicks off this Friday August 12 at the Pittsburgh Opera. The evening starts at 6:00 p.m. with a V.I.P. event, with the main event starting at 8:00 p.m.. They’ll have dj’s and a performance by Lungs Face Feet, the gypsy style brass and drum band (who played at the Polish Hill Arts Festival). Click here to buy tickets in advance. There are multiple bike-related events each day following, including various bike tours of Pittsburgh, bike polo games, bike maintenance classes, a bike scavenger hunt, zombies on bikes, dance parties, and more. There’s a lot to do and it all sounds fun — check out the full schedule. This sounds fun — an all-volunteer community potluck picnic and Smorgasbike event that gives you a chance to ride all sorts of bikes, among other fun things. 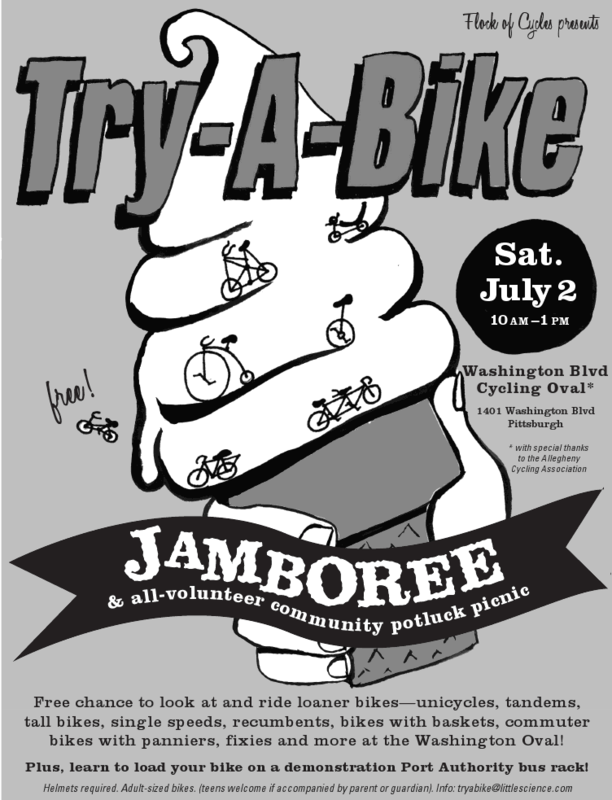 The Try-a-Bike Jamboree is Saturday, July 2, from 10:00 a.m. – 1:00 p.m. at the Washington Blvd Bud Harris Cycling Oval, 1401 Washington Blvd, in Pittsburgh. This event is free; helmet and waivers are required. Parking is available and they say that bike-based tailgating is strongly encouraged. 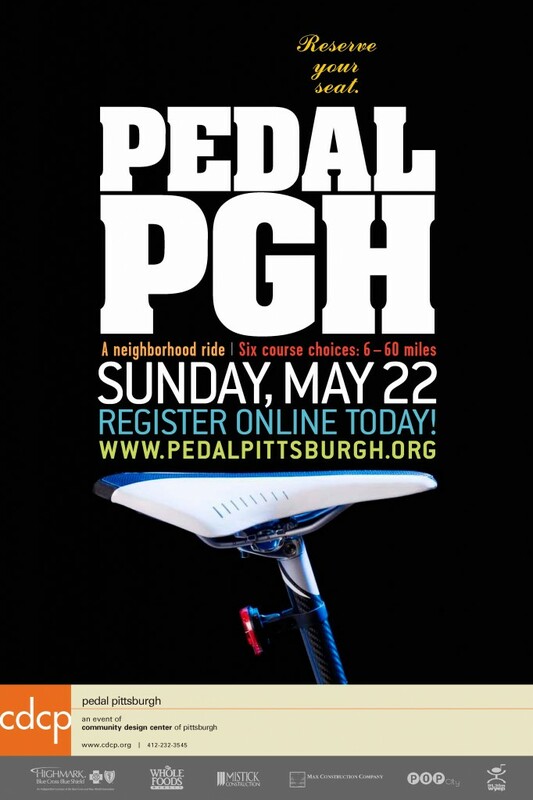 For more information, look at Bike Pittsburgh’s page, or the Facebook event page. Pedal Pittsburgh will be held on Sunday May 22nd 2011 and is looking for rest stop activity volunteers. This special group of volunteers will be interacting with our riders and engaging them in fun activities. Available positions are listed below; please contact Zack Ambrose if you have any questions. Assistant. Your main role is to encourage riders to participate in the activities at each rest stop and assist other volunteers as needed. You will be assisting Children’s Museum staff with an interactive mural project. Videographer. Your main role is to encourage riders to participate in the activities at each rest stop and assist other volunteers as needed. You will be recording our riders’ responses to the following question “What have you seen today that you haven’t noticed before?” on a Flip video camera. Wordler. Your main role is to encourage riders to participate in the activities at each rest stop and assist other volunteers as needed. You will be recording our riders’ responses to the following question: “What did you see today that defines Pittsburgh as a place?”on a laptop and generating the Wordle (word cloud). Time: Please plan to be at the rest stop between 9:30am and 1:30pm. Need: 2 volunteers. Click on the links for more information about Pedal Pittsburgh volunteers, or information for riders. Active Allegheny, the Active Transportation component of Allegheny Places, the Comprehensive Plan for Allegheny County, has been released. “Active transportation” is human-powered travel, most notably walking and biking. The Active Allegheny plan identifies desires, deficiencies, and opportunities for the bicycle and pedestrian networks in the County, recommends system improvements, and provides toolboxes and best practice guidelines to accomplish those improvements. The plan has much to say about Polish Hill, specifically Bigelow Boulevard. It finds that Bigelow Boulevard is the 15th highest roadway in the County for pedestrian crashes (15 crashes in five years), and that Bigelow is also one of the top 10 most-deficient roadways in the County for bicycling. As a result of these safety statistics, high speeding traffic, and poor sidewalk conditions, Bigelow Boulevard is singled out as one of a handful of roadways recommended for both bicycle and pedestrian improvements. These improvements could include traffic calming or speed control measures, bicycle lanes, street furniture, or pedestrian-scale lighting. 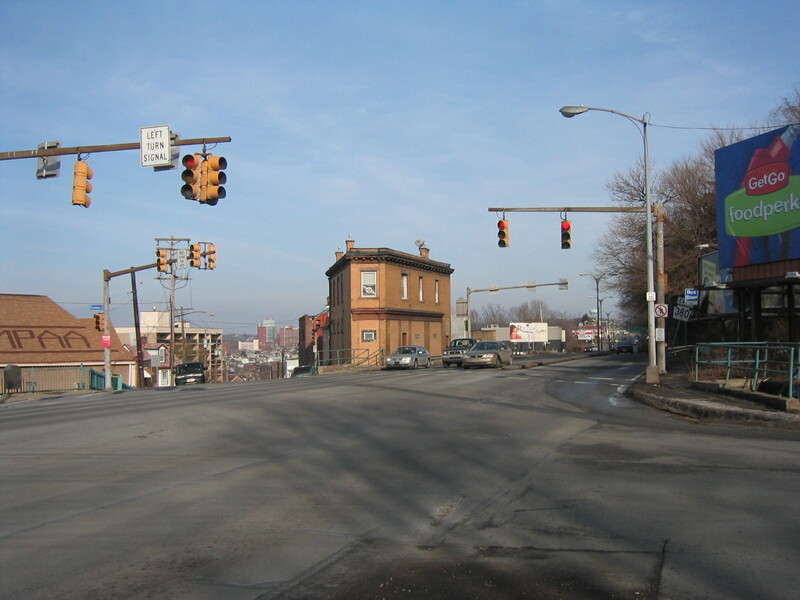 Another major recommendation of Active Allegheny is that Bigelow Boulevard should be studied to consider performing a “road diet” or conversion to a “complete street.” These are smart transportation concepts that accommodate and improve safety and accessibility for all travel modes, including people driving, bicycling, walking, rolling, and riding transit. It should be noted that the plan only produced general recommendations, and that more work is needed to find funding to plan, design, and construct these improvements. Read the entire plan online at Active Allegheny. Friday is International PARK(ing) Day and Polish Hill creatives are taking it to the streets! Be sure to check out the little parks throughout our neighborhood. The event is designed to promote the preservation our current green spaces and the planning of new ones, focusing on how parks improve our communities. Our residents will turn parking spaces into parks at the corner of Dobson and Hancock, and also along Brereton. ~Joining the campsite surrounding Lili Coffee*Shop, including spots by The Caravan Collective and Lili’s ’67 Safari Airstream. Park yourself, not your car, at 3138 Dobson Street, home of Lili Coffee*Shop, Copacetic Comics Company and Mind Cure Records in the heart of Polish Hill. This location will be the one day/night campsite of The Caravan Collective and Lili’s ’67 Safari, and features musical performances, grub, drinks, art and crazy-talk. Citywide, the initiative is spearheaded by PARK(ing) Day Pittsburgh with its leaders Andrea Lavin Kossis of the CDCP and Emily Craig of The Mattress Factory. If you want to check out other parks throughout the city, two maps are available.